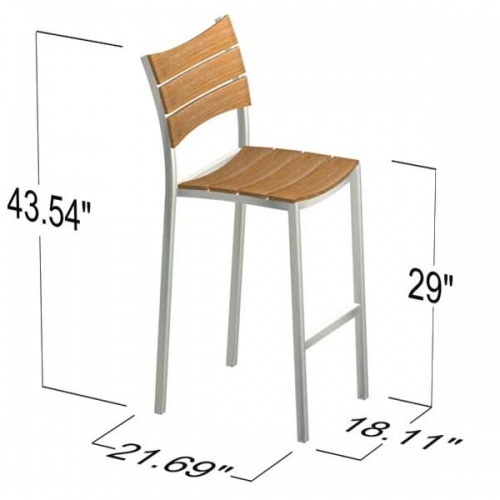 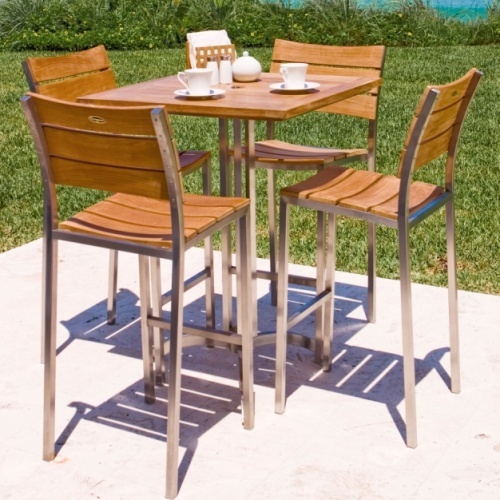 Utilizing two of the most durable materials for outdoor use, the Venezia stainless and teak bar stool leverages on the beauty, strength, and durability of both teak and stainless steel. 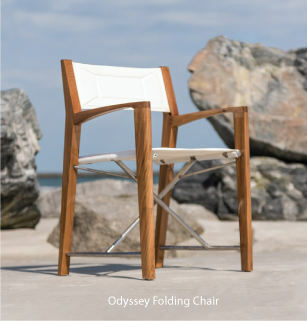 The wide slats of the back rest and gently scooped seats provide extraordinarily comfortable seating, even without cushions! 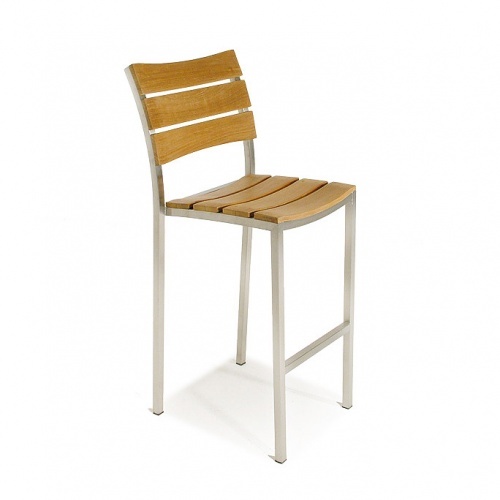 Beautifully crafted and sanded to a micro- smooth finish, these handsome stainless and teak bar stools will also work nicely indoors in a modern industrial design kitchen or outdoors for a casual balcony dining area. 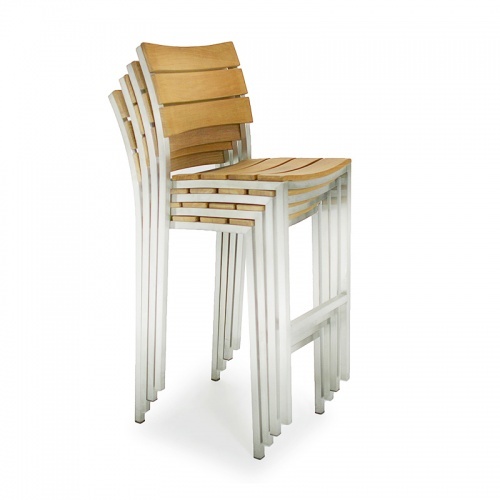 These stainless and teak bar stools stack four high for easy storage. 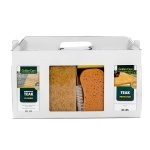 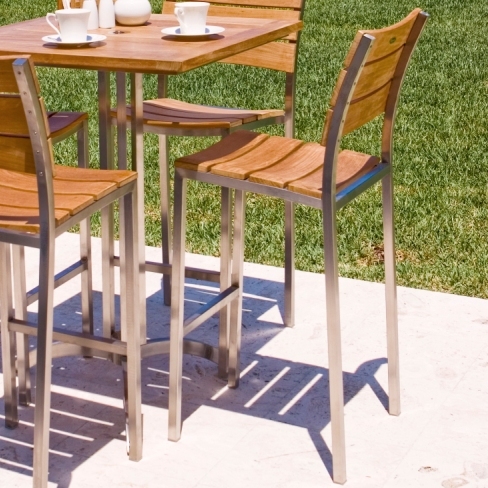 Made from premium grade A eco-friendly teak from renewable plantations and marine grade stainless steel.